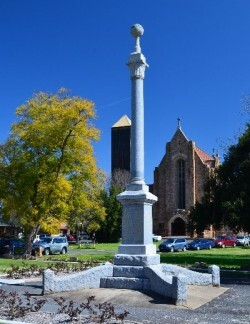 The second memorial bears the names of Borough and Wangaratta shire residents who were killed in the two World Wars as well as the Vietnam War. It was unveiled in 1923 by Colonel Scott, a former borough engineer. Each year an ANZAC service is held in the gardens to remember those that served our country during times of war.